McALLEN — A Rio Grande City man was given a 27-month sentence for his role in the smuggling of undocumented immigrants. Lee Roy Alejandrez, 23, stood before U.S. District Judge Randy Crane on Monday morning for his sentencing hearing in connection with a failed attempt in February to smuggle four undocumented immigrants into the country. 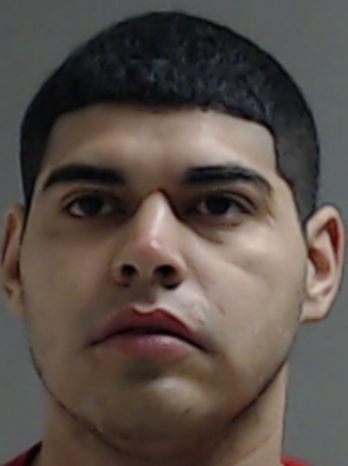 Crane, who found that the defendant created the potential for injury when he sped away from authorities while transporting the undocumented immigrants, also imposed three years of supervised release after Alejandrez’s prison term is up, court records show. As part of Alejandrez’s deal to plead guilty to a charge of bringing in and harboring undocumented immigrants, the government agreed to dismiss a second bringing in and harboring charge, according to court records. The Starr County man’s issues began Feb. 17, when U.S. Border Patrol agents were alerted to a “still camera activation,” near the “Fronton Cemetery,” in Fronton, Texas, the complaint states. The area is known as a frequented location by undocumented people attempting to move into the country because of its proximity to the Rio Grande, according to the complaint. Moments later, agents made visual contact with the four undocumented immigrants — who jumped inside an SUV that had approached them, the complaint states. Hearing this information, an agent patrolling the area activated his emergency lights in an attempt to pull over Alejandrez, who immediately attempted to flee, the complaint states. “The agent positioned himself behind the SUV and activated his emergency equipment. However, the SUV failed to yield to the agent’s emergency lights and sped away at speeds of up to 70 miles per hour,” the complaint states. Alejandrez was subsequently arrested when he lost control of the SUV and crashed into a residential fence and carport. One of the four undocumented immigrants, a man from El Salvador, said he and the other three people rafted across the Rio Grande to the U.S. and jumped inside an SUV driven by Alejandrez, the complaint states. Alejandrez, who apologized to the court for his conduct, said he was looking for was a chance to get on with his life and away from the bad influences in Rio Grande City and starting a career as a barber. Crane agreed with Alejandrez that moving away from that area would be helpful for him, while noting a prior arrest in connection with drugs, several assaults and a public intoxication incident. Alejandrez was represented by McAllen-based attorney Ruben Peña Jr.